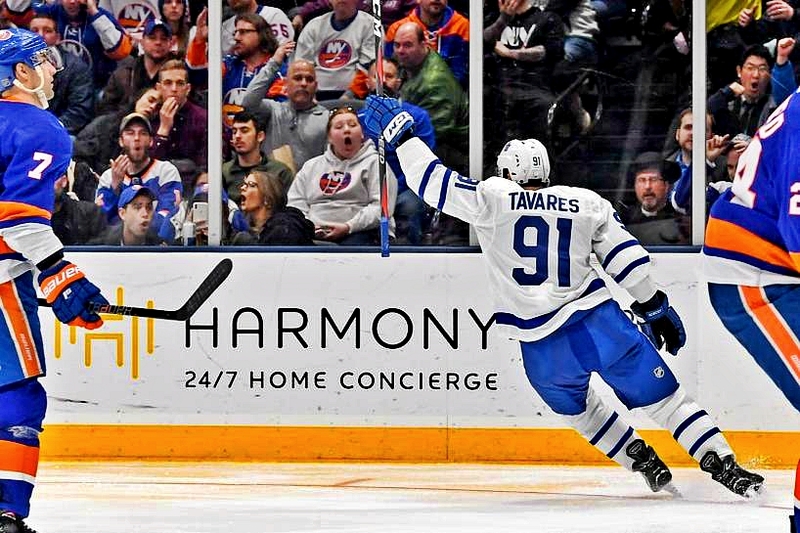 John Tavares will score tying goal late in 3p Monday at NYI, thus clinching a playoff spot for the #Leafs. TORONTO (Apr. 2) — So, I called it the “tying” goal in my Sunday Tweet. Sue me. But, neither was I completely off the mark. Turns out good things happen to good people. Ol’ No. 91 left the Nassau Coliseum with middle–finger extended. That his glove was still on prevented the Long Island rowdies from seeing it. What a moment for John Tavares. In beating Robin Lehner at 3:50 of the third period on Monday, he not only scored the winning goal against his former team — thereby clinching a playoff berth for the Toronto Maple Leafs — but also established a club–record for most goals in a season (46) by a center. Darryl Sittler had owned the previous mark for 41 years, since the 1977–78 season. In edging the New York Islanders, 2–1, the Leafs also tied a franchise record with their 23rd road victory of the schedule, first accomplished under the late Pat Quinn in 2003–04 (more on the Big Irishman later). The excellent photo, below, by Dennis Schneidler of USA Today Sports captured some precious reaction from the fans near ice–level in Uniondale. With three games remaining (tonight vs. Carolina; Thursday vs. Tampa Bay; Saturday at Montreal), the Leafs can still equal their franchise–mark of 105 points from last season. The Lightning defeated Ottawa, 5–2, on Monday and became only the third team to win 60 games — joining the 1976–77 Montreal Canadiens (60–8–12) and the 1995–96 Detroit Red Wings (62–13–7). So, now it’s on to Beantown for the Leafs and yet another playoff clash with the Bruins. I was actually alive the last time the Maple Leafs upended Boston in a Stanley Cup series. Given that I was two months and four days old on Apr. 7, 1959, my memory is a bit clouded. Yet, it really happened — rookie coach Punch Imlach guiding Toronto to a 3–2 victory in Game 7 at the Boston Garden. Truth be known, it was quite an escape for the Blue and White. The Bruins could have easily swept the series after winning the first two games at home, then losing the next two in overtime at Maple Leaf Gardens. But, we all know the Leafs could have just–as–easily triumphed in Game 7 of the 2013 playoff round — ignominiously coughing up that 4–1 lead midway through the third period at TD Garden. Otherwise, it’s been all Boston for the past 60 years. Now that the Toronto Maple Leafs have actually won a game, you’ll excuse me for recalling an occasion when they lost, 10–0. In the playoffs, no less. 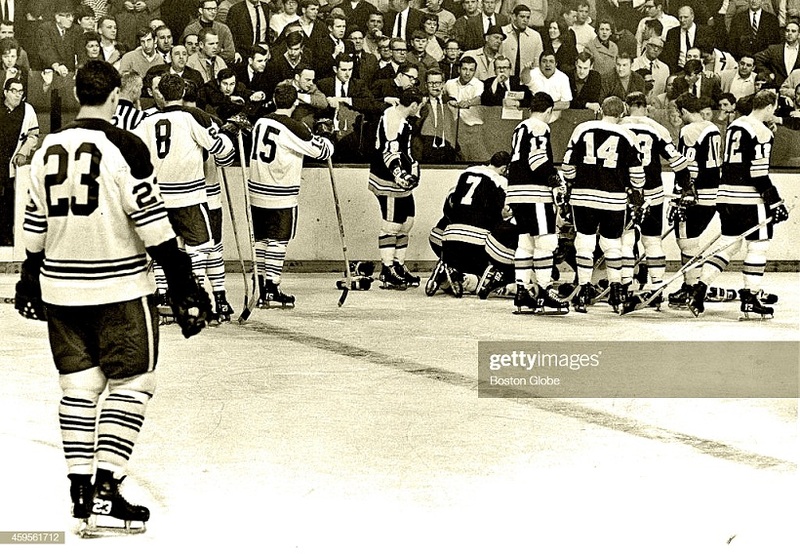 Against Bobby Orr and the Big, Bad Bruins, 50 years ago tonight – Apr. 2, 1969 – at the Boston Garden. It’s a game old-time hockey fans talk about to this day. You might think a 10–0 Stanley Cup encounter would endure for the final score. In this case, however, the Bruins annihilating the Leafs by a converted touchdown and a field goal was a mere footnote. 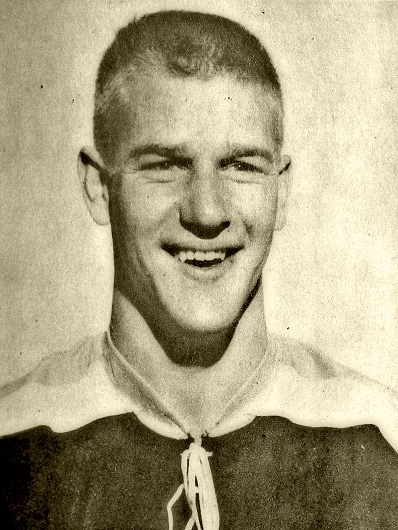 The night is much–better remembered for the hardest, open–ice body-check dealt to Orr in his brilliant National Hockey League career and for a wild melee involving all players in the waning moments of regulation. 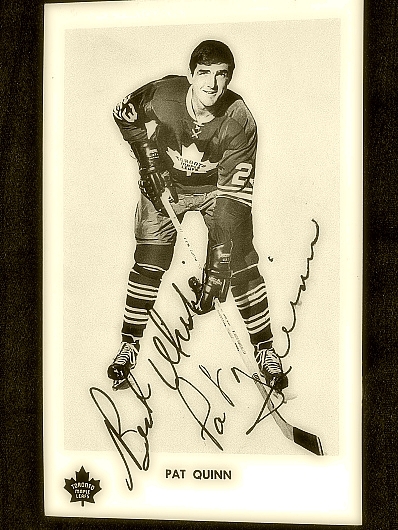 The game linked, for all time, Orr and Maple Leafs rookie defenseman Pat Quinn, who would become – 30 years later – coach and general manager of the Blue and White. Given their disparity of talent, Orr and Quinn might otherwise have never been spoken about in the same sentence. After missing the playoffs in the first year of expansion (1967–68), the Maple Leafs toughened up by adding a trio of freshmen on the blue-line: Quinn, Jim Dorey and Rick Ley. The club improved by nine points and made the playoffs with a fourth–place finish in the East Division, behind Montreal, Boston and New York Rangers. The post–season format in 1969 had the first and third–place teams meeting in the opening round; the second and fourth–place teams hooking up in the other series. It was Montreal vs. New York and Boston vs. Toronto in the East; St. Louis vs. Philadelphia and Oakland vs. Los Angeles in the West Division. CBC carried the Maple Leafs–Bruins playoff opener live in Ontario and western Canada (New York at Montreal was shown in Quebec and the Maritimes). Bill Hewitt and Brian McFarlane were at the Boston Garden. It was the beginning of the Jewish observance of Passover. I remember being at the Seder table as a 10–year–old and running downstairs to our Admiral color TV every time someone yelled. “They’re fighting again!” Even my beloved great–grandmother Sarah Tobe (73 at the time) ran up and down. It was unquestionably the longest meal in Passover history. 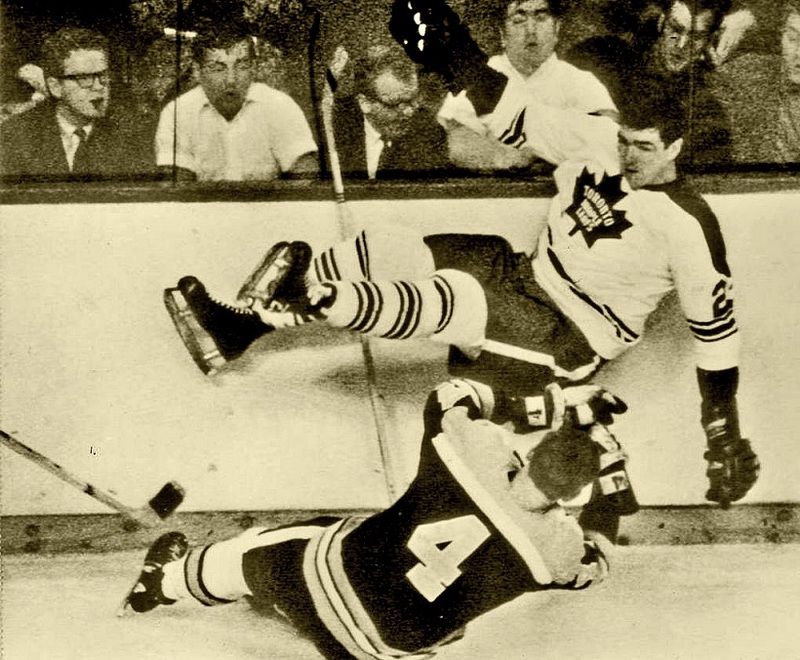 The Leafs and Bruins had waged battle throughout the 1968–69 regular season – Orr and Quinn fighting on a couple of occasions. As such, tempers were short when the clubs skated out for Game 1 of the Stanley Cup quarterfinals 50 years ago tonight. By the mid–point of regulation, the only question remaining was how many goals Boston would score. It was 6–0 for the home side – Phil Esposito leading the onslaught against Toronto goalies Bruce Gamble and Johnny Bower with a four–goal, six–point effort. At 18:03 of the middle frame – only pride now left for the visitors – Quinn and Orr met again. Violently. Quinn launched himself at Orr with such force, the two players catapulted in opposite directions (as per photo, below). Orr crash–landed on his back near the boards and his body went limp. Teammate Ken Hodge skated over and propped Orr’s head on one of his gloves like a pillow. Hockey’s greatest star was out cold in the middle of the Boston Garden. Orr was taken to hospital where the spent the night under observation. PAT QUINN (23) WATCHES FROM A DISTANCE AS PLAYERS GATHER AROUND THE FALLEN BOBBY ORR. With Boston having crafted its 10–0 margin and less than four minutes remaining, all hell broke loose. Forbes Kennedy, a veteran scrapper the Leafs had acquired the previous month from Philadelphia, took on virtually the entire Boston team – fighting Gerry Cheevers, John McKenzie and Ted Green while accidentally punching linesman George Ashley to the ice. It would be the last of Kennedy’s 603 NHL games. The Bruins demolished the Leafs again two nights later, 7–0, and then swept the best–of–seven series with a pair of one–goal triumphs at Maple Leaf Gardens. Moments after the finale – Apr. 6, 1969 – Leafs owner Stafford Smythe fired general manager and coach George (Punch) Imlach, ending Imlach’s 10–year reign during which he led the club to four Stanley Cup titles.